The 1671 36V 6-1/2 In. 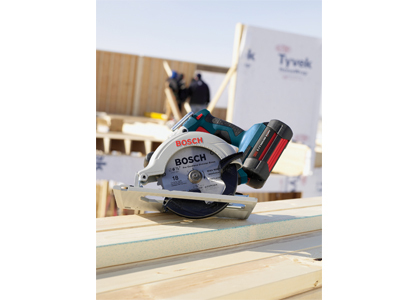 professional heavy-duty cordless circular saw is top of the category boasting 26% longer runtime than the closest competition. The most power for tough applications with the industry’s most advanced battery technology, Lithium-ion. 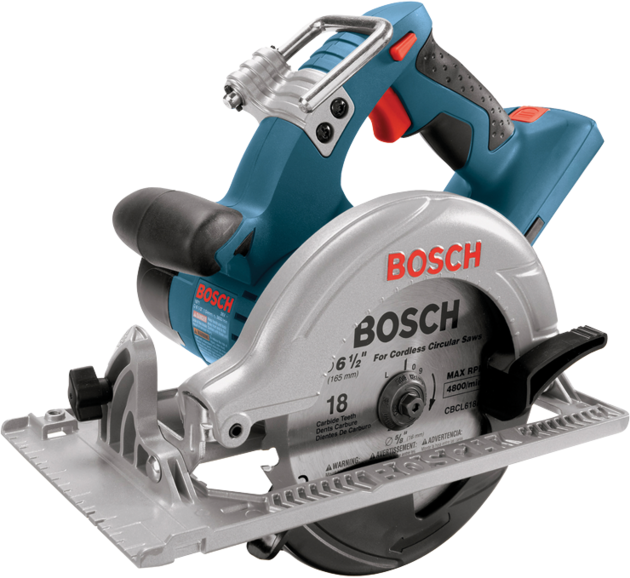 Bosch engineers optimized the 1671’s motor with innovative Lithium-ion battery technology to achieve 26% longer runtime over competition. 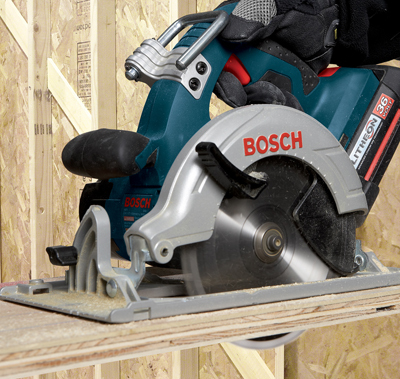 This design also offers an integrated rafter hook; the only saw in its class with hook for easy placement after cut. 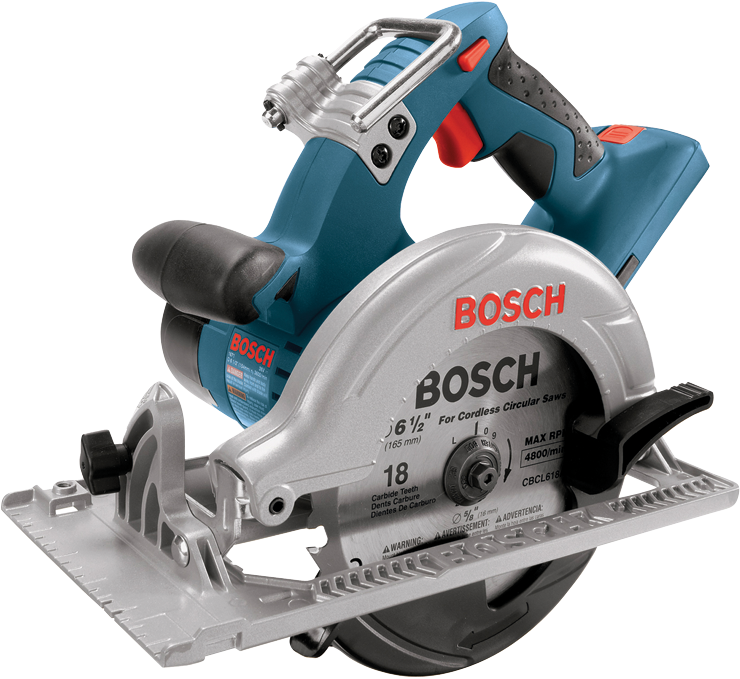 Bare tool only - battery (BAT836) and charger (BC830) sold separately. Max. Depth of Cut at 45 Deg. 1-5/8"
Max. Depth of Cut at 90 Deg. 2-1/8"